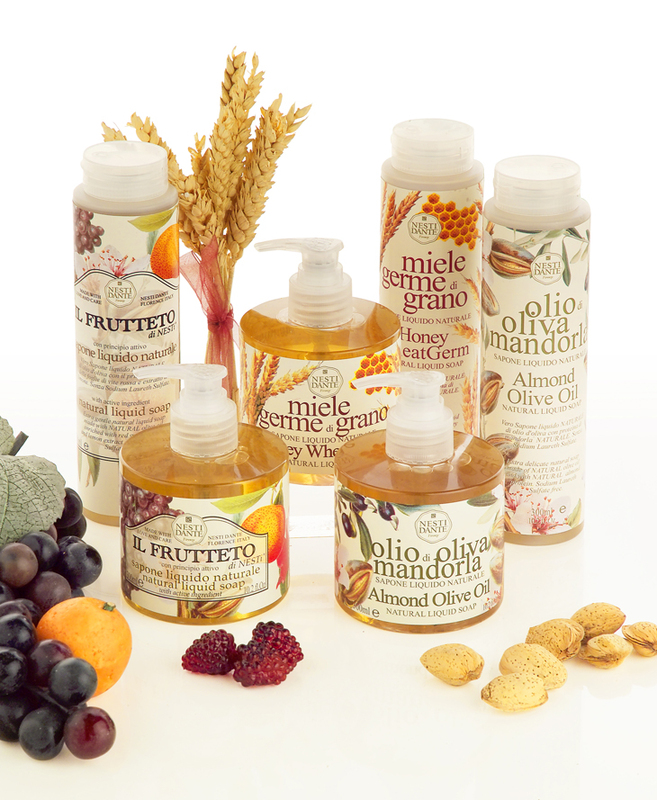 Our liquid soaps are "true natural liquid soaps" made with 100% pure Olive Oil and, most importantly, DO NOT contain Sodium Laureth Sulphate or any other harsh synthetic surface active ingredients. The nourishing action of Red Grapes, Blackcurrant and Lemon juice restore the skin to its natural form. Pure and natural soap made exclusively with real olive oil and, most importantly, DOES NOT contain Sodium Laureth Sulphate or any other harsh synthetic agents. The main property of Almond Olive Oil is the skin-nourishing ability of almond protein that provides excellent hydration, ensuring softness and elasticity to the skin. Pure and natural soap produced with real olive oil and, most importantly, DOES NOT contain Sodium Laureth Sulphate or any other harsh synthetic agents. The addition of honey and sugarcane provides a sweetening action while the protein found in wheat balances and protects the skin. This natural base, with its light foam, gives well-being even to the most delicate skin.